Beautifully updated home! Featuring 2 bedrooms, 2 bathrooms, with a 1 car garage located in the desirable Shadow Lakes neighborhood. The home is outfitted with updated kitchen and counter tops, all new stainless steel appliances and updated tile flooring, new laminate flooring in the main living areas, new lighting and plumbing fixtures throughout, new interior 6 panel doors, re-texture interior drywall, exterior gables and eaves has updated vinyl siding, fresh exterior and interior painting. Both bathrooms have been updated with new vanities with solid surface counter tops. New hot water heater and new upgraded 200 amp electrical panel. The roof has a dimensional roof. The house has a wide driveway, which is a great place to park a boat. NO Flood Insurance is required. 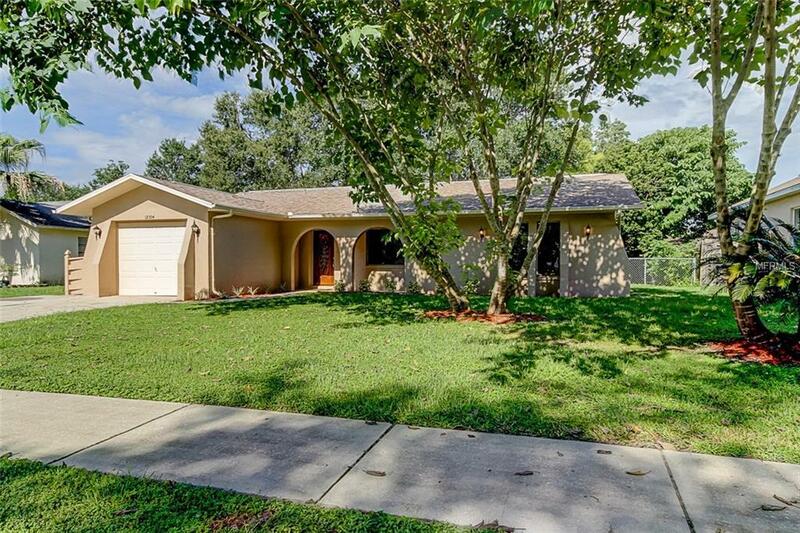 Shadow Lakes is located just minutes away from Publix and the Veterans express way.